This year, Wink Reports is sponsoring Natasha Gromek in the MS Sydney to the Gong ride; raising money for Multiple Sclerosis. We’re pleased to be able to support our team member Natasha in raising funds for this very worthy cause. Click here to support Natasha on her ride and donate to MS Australia. 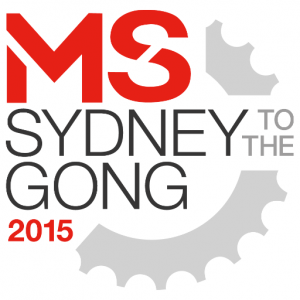 “I’m tackling the MS Australia Sydney to the Gong ride again this year. This cause holds a special place in my heart, as my partner lives with MS. Multiple Sclerosis can have debilitating effects on those who live with the condition. I see firsthand the battles that an individual faces on a daily basis. I hope that by doing things such as the Gong Ride, the MS Australia foundation gets the funding that they require to continue their works with both future MS research and the current works they do with people living with MS. This year, I am proud to align with Wink Reports as a sponsor for the ride. The team at Wink believe that ‘empowering lifestyle’ is a mantra that provides them with the drive to succeed. I am a big believer that empowering lifestyle rings true, for both my plight in the support of MS and for those living with MS.
What we take for granted each day, a person living with MS may struggle with. Simple tasks such as putting jewellery on and engaging in physical exercise can be major struggles. These people would love nothing more than to experience life without these niggles that they live with. The ride will take place 1st November. The event has raised over $33 million in its 33 year history.